Mile 252... we drove to Houston on Friday night for the start of the Turn the Key Tour. Perfect start to what looks like a fun summer tour with Lori Nordstrom, JB & DeEtte Sallee. 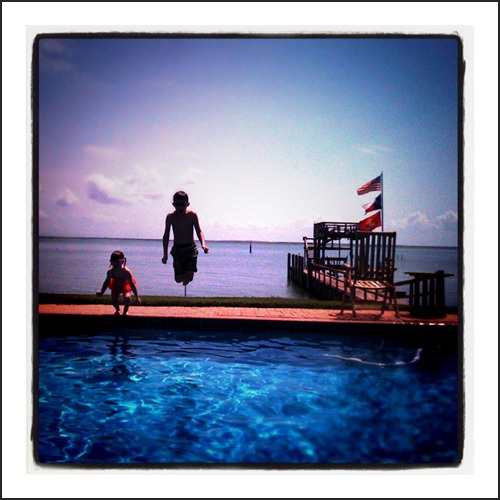 An easy drive from Dallas, and the kids got to totally enjoy John's aunt's house on the bay. Listening to Cody & Mike from TriCoast talk about their keys to lighting was inspiring - even for a non-photographer like myself. Tonight we hit the road with the kids to San Antonio for tomorrow's show... hope to see you at one of the stops! So glad I discovered you and your amazing products!